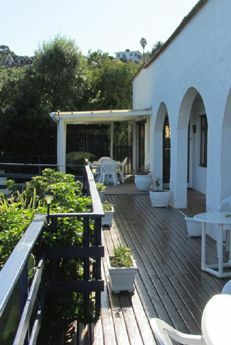 Paradise Heads is conveniently located in the centre of the Garden Route in Knysna and is situated in Paradise. Paradise Heads is within walking distance to the Waterfront and Knysna town, giving easy access to the shopping malls, supermarkets and restaurants. Paradise Heads is an ideal stopover for visitors driving between Cape Town and Port Elizabeth OR for those enjoying a holiday in the Garden Route. 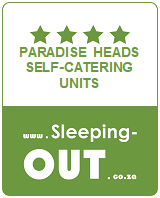 We have 5 tastefully decorated self-catering chalets, "The Heads", "The Leisure" The Outeniqua", "The Brenton", and "The Fynbos". Knysna is a coastal town situated by a large lagoon with the famous Knysna Heads guarding the entrance to the sea. It is on the Southern shore of South Africa (approximately 500 Km from Cape Town). Knysna has all the amenities you need for a perfect holiday ... it is a shoppers paradise with fascinating markets, galleries and local art and craft stores. Boating adventures, sailing, fishing, whale watching, rib adventures through the Heads (bookings can be made at reception). Ideally situated 20 minutes from Buffalo Bay a Blue Flag beach. There are over 50 bistros, restaurants and pubs, ranging from fast food to 5 star gourmet cuisine, and of course, fresh seafood in mouth-watering abundance, including our world famous Knysna Oysters. Plettenberg Bay a renowned holiday town is a mere 25 minute's drive away. Close enough for a day trip. It has an airport and is available for private flights. George Airport offers scheduled flights from all major centres in South Africa. 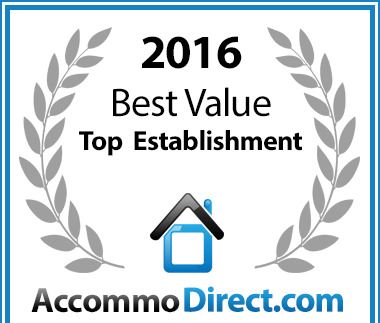 Paradise Heads has been voted a Best Value for money Paradise establishment. 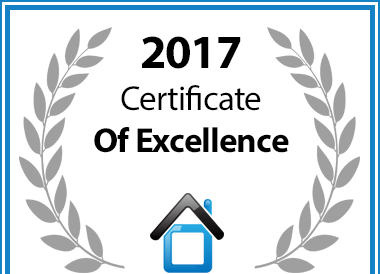 In recognition of exceptional service Paradise Heads in Knysna has been awarded a Certificate of Excellence.